With a special brew and inaugural 5K and 10K races this September, Pelican Brewing Company is helping to protect and sustain its birthplace on Oregon’s North Coast. To no small number of Oregonians, craft beer is always good for what ails you. At one brewery on the North Coast, beer is also making life better for Oregon’s iconic salmon. Since last year, Pelican Brewing Company has been donating a portion of the proceeds from every barrel of its Five Fin West Coast Pilsner to the Salmon Superhwy Project, a comprehensive effort along Oregon’s North Coast to reconnect salmon, steelhead and other ocean-going fish with their spawning habitat. This September, the company will expand its fish-boosting efforts with the first annual Pelican Brewing Salmon Run, a fundraiser for the Salmon Superhwy Project. The 5K and 10K races begin and end Sept. 23 at Pelican Brewery & Tap Room in Tillamook. 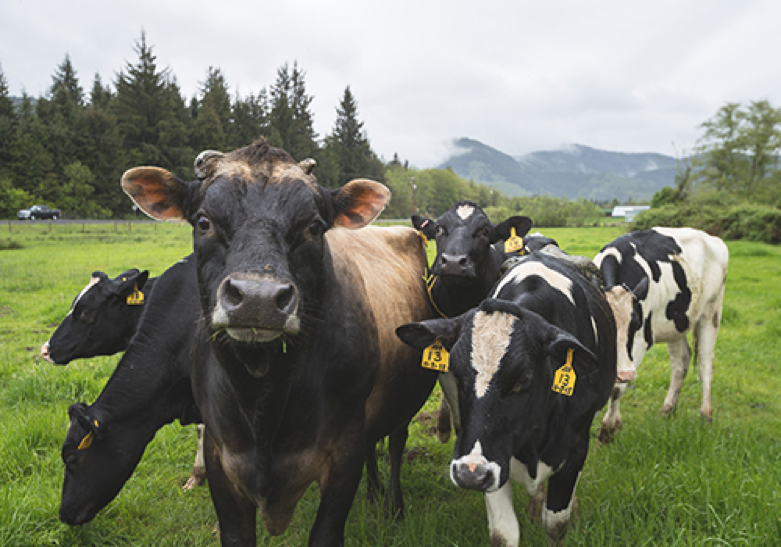 In between, runners will weave alongside the Tillamook River and through peaceful farm country—with live music and a pint of Five Fin or Pelican Brewing Root Beer awaiting them at the finish line. Pelican Brewing’s Salmon Run course meanders through scenic Tillamook farm country. The new race is the most recent example of Pelican’s efforts to protect and nurture the beaches that have made the company—and its beer—possible. Mary Jones, Pelican Brewing Company’s president and a co-owner, considers herself lucky to work and live in a place as naturally stunning as Oregon’s North Coast, where Pelican operates brewpubs and taprooms in Pacific City, Tillamook and Cannon Beach. Pelican’s founders and employees love their beach towns and feel a responsibility to keep them healthy, she said. Jones founded Pelican Brewing Company in 1996 with her husband and partner Jeff Schons and Brewmaster Darron Welch. Since then, the company’s charitable reach has touched a wide range of causes and community groups—from salmon to the Oregon silverspot butterfly, from backpack programs at local schools to regular roadside and beach cleanups. Every summer, Pelican employees cook and serve meals for more than 3,000 cyclists at the annual Reach the Beach, an American Lung Association fundraising ride that ends in Pacific City. And earlier this year, Pelican pledged $100,000 toward the Partners for Rural Innovation Center at Tillamook Bay Community College, a new learning hub for students, small business owners and Tillamook County residents of all ages. For Jones, Pelican’s efforts to enhance the environment and protect wildlife are particularly meaningful. Proceeds from Silverspot India Pale Ale help preserve threatened butterfly populations. 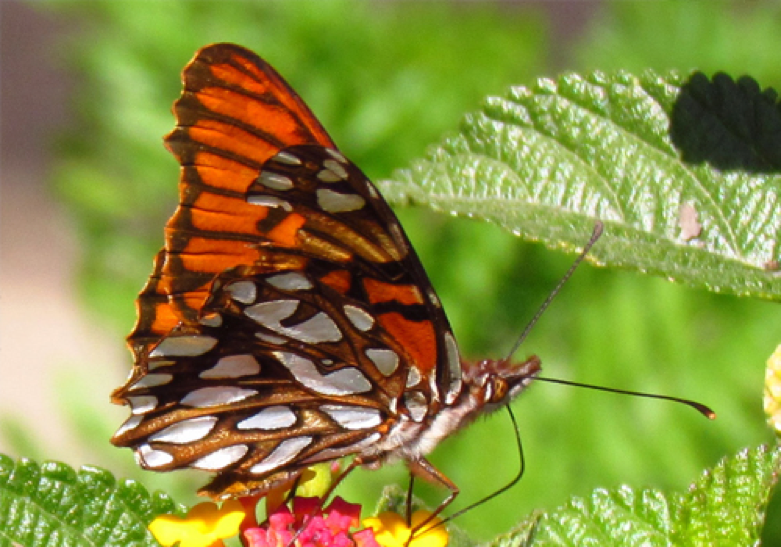 In 2012, Pelican Brewing Company joined Seattle’s Woodland Park Zoo to celebrate and help boost populations of the threatened Oregon silverspot butterfly, a species native to the Oregon coast. Pelican named its first India Pale Ale sold in a six-pack for the silverspot, spreading the butterfly’s story to beer and beach lovers across the region. Pelican also donated a portion of the proceeds from sales of Silverspot English-style IPA to conservation efforts. “When I hear that the silverspot butterfly is making a comeback, I feel that we had some small part in mitigating the human effect on the balance of nature,” Jones said. Now Pelican is using another special brew to raise awareness for the Salmon Superhwy Project, which will restore access for the fish to almost 180 miles of blocked habitat throughout six major salmon and steelhead rivers of Oregon’s North Coast. 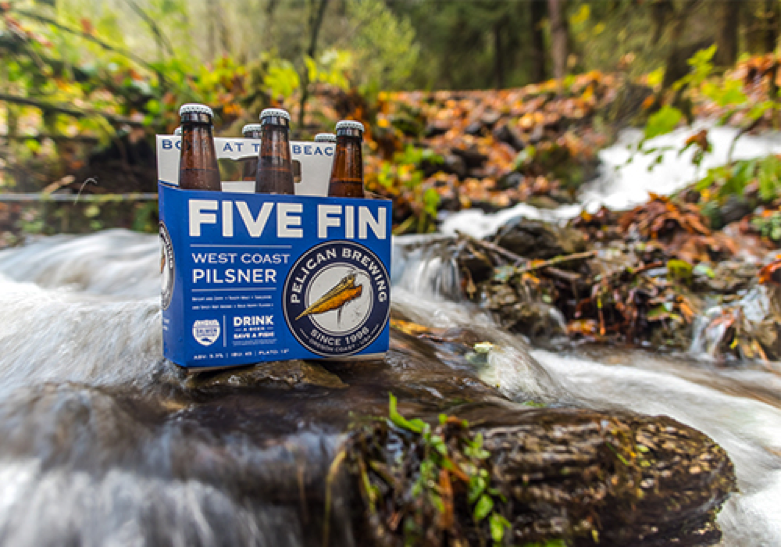 Five Fin West Coast Pilsner is named for the five ocean-going species of fish that will benefit. The Salmon Superhwy Project is working to remove barriers that block spawning salmon. Throughout Oregon’s coastal watersheds, hundreds of barriers in streams create bottlenecks for salmon. 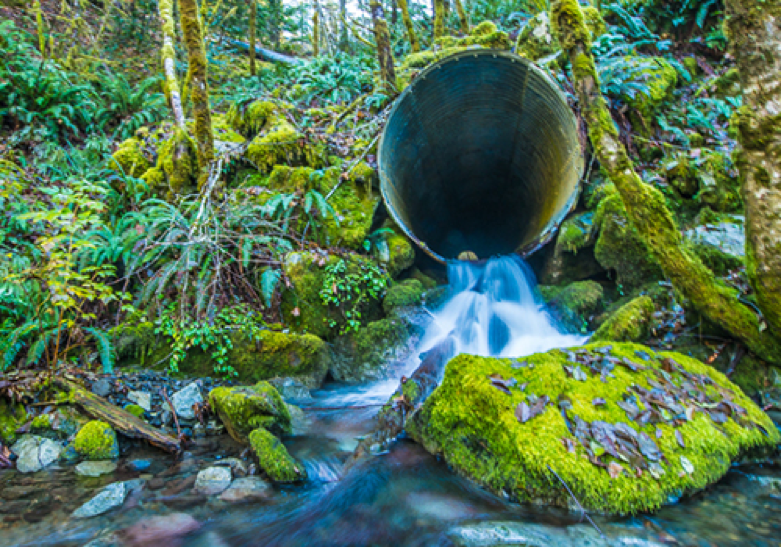 By reducing the bottlenecks, the Salmon Superhwy Project aims to create healthy upstream fish habitats, lessen chronic flooding, improve recreation opportunities and energize the local economy.